What are the best ways to motivate employees and increase productivity? This is a crucial question for just about anyone in a workplace leadership role. And, while leadership experts may agree with Aubrey Daniels that “positive reinforcement is the most powerful leadership tool” (Daniels, 1982), managers often find themselves overwhelmed by the multitude of factors involved in just how, when, and where to administer it. By sharing this wealth of information, readers are provided with the essential ingredients for creating a reward rich environment in which employees do not merely survive, but actually flourish (Lewis, 2011). What is Positive Reinforcement in the Workplace? In this article, we will disentangle these relationships by delving deeper into the concept of positive reinforcement in the workplace. In doing so, relevant definitions are provided; and optimal strategies and leadership styles for administering positive reinforcement are described. And of course, numerous examples of positive reinforcement techniques for the workplace are offered. The concept of positive reinforcement is actually pretty simple: If you reward a behavior, it is more likely to be repeated. And whether you’re talking about potty training, dog training or learning a new job skill; the same principles introduced by Skinner in the early 20th century still apply. So, let’s now consider the importance of positive reinforcement in the workplace. First of all, we spend a significant portion of our lives at our jobs. For example, if you imagine working full-time (e.g., 40 hours per week) for 30 years, this actually adds-up to one-third of your life spent at work – a number that has only increased over time due to higher life expectancies and a later average age of retirement. Given this lifetime investment of time and talent, it makes sense that one’s work environment should be pleasant with many positive opportunities for growth and advancement. Moreover, from an employer standpoint; employee turnover, or churn, is really expensive to an organization. For example, economic turnover costs have been estimated as high as 213% of a year’s salary for a highly skilled job (Boushey & Glynn, 2012). Consequently, it is in an employer’s best interest to provide a rewarding atmosphere that encourages productivity and motivation; and that discourages turnover – especially undesirable turnover (i.e., the loss of valued employees; Mayhew, 2019). After all, going as far back as 1946, there is ample evidence supporting the motivating impact of simply feeling appreciated for a job well done (Wiley, 1997). To encourage a desired behavior. Of course, such acts of intentional acknowledgement and encouragement require effective leadership that is both motivating and inspiring. Researchers have described a particular management style termed transformational leadership that promotes motivation by inspiring employees to do their best (Cleavenger & Munyon, 2013). “… the protection and nourishing of happiness, for extending the opportunity to pursue happiness to all people” (Burns, 2003, p. 3). Transformational leadership is highly pertinent to positive reinforcement because it is concerned with enhancing the perceived meaningfulness of work. This objective is achieved by reinforcing various types of positive behaviors, such as autonomy (which is supported by providing employees credit for contributions and celebrating team successes); and task significance (which is supported by acknowledging individual contributions). “managers help people see themselves as they are; Leaders help people to see themselves better than they are” (Rohn, 2014). Whatever the type of feedback might be, it is generally of higher quality when delivered in a warm and safe environment (Cleavenger & Munyon, 2013). It is these and other qualities of transformational leadership that promote effective employee-manager relationships; which, in turn, enhance an employee’s ability to make rewarding and meaningful career contributions. Effective leaders possess a meaningful repertoire of reinforcement techniques, and they know how to use them. Whether the type of reinforcement is monetary compensation, verbal feedback, advancement opportunities, or something else; it is important to recognize that the potency of a reward is contingent upon the particular employee and what he/she finds rewarding. The following list provides a comprehensive collection of workplace reinforcement examples which are categorized based on the nature of the reward and the qualities it supports. Never assume that an employee knows he/she is doing a good job. Support self-efficacy by ‘catching them doing well’ and praising their efforts. Whether in the form of salary, benefits, or paid time-off; the most powerful form of positive reinforcement in the workplace is money. This being said, monetary compensation is only reinforcing if delivered in proportion with performance. As employees spend a substantial number of hours at the workplace, creating a comfortable and motivating space is more important than ever. This category is perhaps the most individualized, requiring employers to really understand what motivates their staff. While there is an inexhaustible list of potential workplace reinforcers; however, the effectiveness of such reinforcers is contingent upon exactly how they are administered. Interested in achieving performance-enhancing outcomes, clinical psychologist Aubrey C. Daniels, applied Skinner’s behavioral theory toward the development of tools aimed at improving workplace motivation and performance. With his focus on employee behavior, Daniels created a company that applies positive reinforcement techniques toward the development of tools aimed at improving work performance. These tools that have achieved worldwide success in meeting Daniels’ objective. Use individualized reinforcers: As people are unique and thus reinforced by different things, make sure the reward you are using is meaningful to the specific employee (e.g., some people find gestures such as taking an employee to lunch to be highly reinforcing; whereas, others are more reinforced by monetary rewards such as bonuses or gift cards). Apply reinforcers immediately: As we are all subject to the laws of learning, it is only when a behavior occurs temporally close to a reward, that the two will be connected (e.g., if an employee excels during a presentation, he/she should be rewarded soon afterwards such that the reward is clearly associated with the presentation). Use various types of reinforcers: Just as people respond well to immediate gratification, they also require variety in terms of rewards (e.g., if a supervisor always provides a gift card to the same restaurant, people may become bored and no longer reinforced by it). Be specific about what you are reinforcing: The employee needs to be fully aware of the specific behavior being rewarded in order for the reward to have an effect (e.g., if a supervisor rewards a staff member for his/her ‘success-driven attitude,’ the actual behavior being rewarded may be unclear to the employee). Avoid linking reinforcement with punishment: When rewards and punishment are applied simultaneously, they become linked and thus lose their independent impact (e.g., if a supervisor holds weekly performance status meetings as a way of rewarding productivity; but also uses the time to chastise those who are unproductive, the meetings may become deemed as punishing). Apply reinforcers consistently and frequently: Reinforcers delivered often and with consistency are less likely to extinguish (i.e., lose their effect), particularly in the case of new skills (e.g., a person learning a difficult computer program will have more motivation to keep trying if he/she is reinforced consistently and frequently during this process). Connect external reinforcement with computerized feedback: Positive reinforcement in the form of a computerized graph is useful because it provides another medium in which behaviors and rewards are cognitively linked. Such visual aids also enable others in the organization to reinforce an employee for his/her success (e.g., after an employee earns a high number of sales during a given quarter, graphing and displaying these results in the workplace provides both the employee and his/her colleagues with a more visible and detailed representation of these achievements). Connect external reinforcers with natural reinforcers: While external reinforcers (e.g., coffee gift cards) are useful for learning new behaviors, these behaviors are more likely to remain reinforcing if they become linked to naturally occurring reinforcers (e.g., the self-efficacy and reduced time commitment that results from learning a new skill). Because an external reinforcer generally has a point of termination, it is important for naturally occurring reinforcers to take over. Moreover, natural reinforcers have the added advantage of requiring little or no additional effort by the supervisor. Positive reinforcement involves adding a rewarding stimulus (e.g., a bonus) in order to increase a positive behavior (e.g., productivity). Negative reinforcement involves reducing an aversive stimulus (e.g., a crowded office setting) in order to increase a positive behavior (e.g., productivity). Importantly, reinforcement – whether positive or negative – always results in an increased behavioral outcome. Positive reinforcement may feel more intuitive or natural because it only involves positive, or desirable, conditions and behaviors. Because different people are reinforced by different things, rewards must be valuable to employees in order to be effective. For example, a company with a number of employees who experience a lengthy daily commute and expensive parking would likely find free parking and the ability to work at home as highly reinforcing. Employers clearly have many opportunities for reinforcement at their disposal; although the question of whether to employ positive or negative reinforcement represents another question. In other words: which one is better? Before addressing that question, it is important to note an additional behavioral approach that is also sometimes confused with positive and negative reinforcement: positive and negative punishment. Punishment occurs when an aversive, or undesirable, stimulus (e.g., extra work hours, loss of benefits) is used with the goal of reducing an undesirable outcome (e.g., chronic lateness). An aversive stimulus that is added represents a positive form of punishment; whereas, an aversive stimulus that is removed represents a negative form of punishment. Psychologists generally agree that punishment is not an optimal approach both because it is often perceived as punitive and disparaging; and because punishing someone for an undesirable behavior does not involve adding a desirable behavior to take its place. And while punishment sometimes has an immediate impact on behavior, such results are generally short-lived (Naik, 2017). There is definite face validity for the notion that encouraging an employee to do what he/she does best (rather than simply discouraging his/her challenge areas) is the best way to create a motivating environment. While punishment is clearly not the best bet, the effectiveness of positive versus negative reinforcement is not as straightforward. Indeed, it depends on the individual, the situation and the actual reinforcers applied. It is up to leadership to determine that which most motivates specific employees; a process that will likely involve some trial and error. This being said, more opportunities exist for enhancing a positive stimulus in the workplace, than for reducing a negative one. And, of course, negative reinforcement is dependent upon a negatively perceived stimulus existing in the first place. Thus, a work experience in which employees enjoy satisfying compensation, opportunities for growth, and a pleasant work environment is the best place to start. 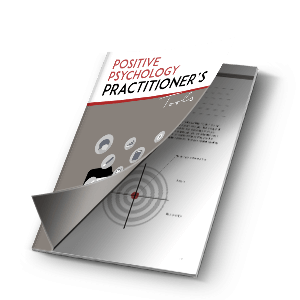 Positive psychology has become increasingly linked to the study organizational behavior, with researchers particularly interested in the significance of positive organizational behavior for enhancing desired work-related outcomes. Along these lines, Luthans describes the psychological concepts of employee hope, confidence and resiliency as key aspects of positive organizational behavior that merit continued research (Luthans, 2002). In addition to these psychological concepts, researchers have investigated the correlation between specific workplace incentives and workplace performance. For example, Condy, Clark and Stolovitch (2008) published a comprehensive meta-analytic review of workplace incentive studies. Long-term incentive programs were related to larger performance increases relative to short-term programs (Condy et al., 2008). Along with this research, there a number of studies that report a significant relationship between various types of positive reinforcement practices and positive work outcomes, with ten such examples listed below. Companies that encourage growth and provide excellent benefits packages enjoy high rates of employee satisfaction and minimal attrition (i.e., Google) (Fortune Editors, 2016). The research literature suggests that adding humor to the workplace is linked to more cohesive relationships (Cooper, 2018). Allowing employees to bring their dogs to work is related to decreased job stress and higher job satisfaction (AFP News, 2012). Companies with onsite gyms enjoy less absenteeism and higher productivity (Spectrum Wellness, 2019). Providing employees with positive recognition or praise results in increased dopamine levels which promotes employee engagement (Robison, 2006). Purpose-based employee recognition is related to lower turnover, and stronger organizational results (Gostick & Elton, 2009). Tuition assistance is related to increased employee confidence in job-related competency, greater job satisfaction, and more motivation to grow intellectually (Hubble, Mulrooney & Nelesen, 2012). Quality childcare is related to less work-family stress, as well as higher engagement and productivity (Shellenback, 2009). Optimistic management style in the workplace is linked to increased employee engagement and performance (Greenberg & Arakawa, 2006). Employers have reported that workers who are highly engaged in their work represent a company’s greatest value (Atkinson & Frechette, 2009). A large study of the American workforce indicates that workplace effectiveness (i.e., workplace flexibility, management decision-making involvement, positive coworker support, learning opportunities, supervisor support for success, and job autonomy) is related to overall job satisfaction, engagement, and retention (Jacob, Bond, Galinsky & Hill, 2008). Positive psychology has played an important role when it comes to increasing satisfaction, motivation, and productivity in the workplace (Martin, 2005). There are a number of evidence-based strategies for enhancing each of these outcomes across three domains: the organization, management, and the individual worker (see Table 1 in Martin, 2005). For example, by providing employee recognition and supportive appraisal at the organizational level, employers are promoting morale and self-efficacy among staff. Similarly, by supporting the value of work at the individual level, employers are promoting employee motivation. Leadership experts have provided many additional strategies for administering positive reinforcement in a way that is effective, motivating and inspiring (i.e., Lipman, 2017; Luthans, Luthans, & Hodgetts et al., 2001; Sarros, & Santora, 2001). Trust & respect: Positive leadership practices reinforce effective behaviors when delivered by a respected manager within a relationship based on mutual trust. Realistic optimism: Positive reinforcement is more likely to promote resilience and competency when delivered in a way that is both optimistic, as well as realistic given the particular task and required skill level. Inspirational motivation: Positive reinforcement that is linked to an organization’s values and mission is more likely to inspire and motivate employees to succeed. Meaningful & sincere feedback: Positive feedback should not be applied only for the sake of doing so. 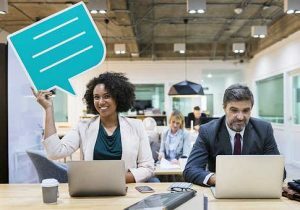 As employees are often keenly aware of the sincerity associated with positive feedback, it is essential that such feedback is truly meaningful and presented with authenticity. Regular feedback: Employees need to feel confident that quality work will be rewarded on a regular and consistent (e.g., non-random) basis in order for reinforcement to motivate future behavior. Leadership hope: Positive psychologists suggest that leaders reinforce positive employee behavior by conveying the underlying message that such behavior is contributing to a bright and hopeful future. Promote willpower and waypower: Hope is most supported when it is connected to more than the motivation to act in a particular way, but also when the person perceives him/herself capable of how to get there (e.g., ‘waypower’). In other words, employee self-efficacy is essential for achieving results in the workplace. Model the desired behaviors: Rewards are far more rewarding when delivered by a manager who ‘walks the walk’ (e.g., is a role model of expected behaviors). In this instance, mentoring and coaching are especially powerful ways to model and reward desired behaviors, as well as to inspire a sense of purpose. Meaningful reward systems: Meaningful incentives should be used to reward positive behaviors. These incentives include intangible social reinforcers (e.g., verbal praise), small token reinforcers (e.g., coffee cards) and large economic incentives (e.g., travel, bonuses, etc. ), depending upon the individual and the desired outcome. In other words, it is essential that employees are regarded as individuals who will respond uniquely to particular reinforcers. Clear communication & expectations: In order to be effective, reinforcement must be provided such that managers and employees are on the same page in terms of expectations and outcomes. Intellectual stimulation: Employees are more motivated by tasks that challenge their intellect and support creativity and problem solving. It is thus essential for managers to know their employees well enough to assign projects that inspire mental stimulation. Meaning behind the message: Positive leadership goes beyond simply reinforcing behaviors, but also ensures that employees understand the reason for the message. Good listening: When employees are truly listened to and understood, managers are better able to identify and encourage individual strengths. Specificity: Reinforcement must always be specific enough that the worker understands exactly what they’ve done well such that they can repeat this behavior in the future. Promote teamwork: By reinforcing teamwork behavior, managers set the stage for continued collaborative behavior that is beneficial both at an individual and organizational level. Responsibility: By providing workers with responsibility for their performance, they will be reinforced by a sense a personal empowerment and accountability. An excellent source for positive ways to motivate employees is published by Leadership Management Australasia (2019). Their list of motivators is lengthy and contains a number of excellent tips for employees or managers interested in implementing positive reinforcement at work. 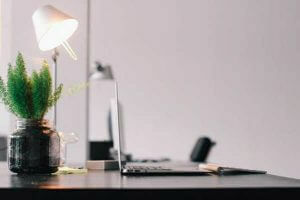 Keep a tidy workspace: Excessive clutter interferes with efficiency and reduces the pleasantness of a workspace. Encourage and reinforce organization. Capture creativity: The authors suggest using tools (i.e., a spreadsheet) to keep track of creative ideas when they occur. Share your skills: Encourage brownbag sessions or other venues in which coworkers can teach and learn from each other. Bring life to your office: For some employees, adding a plant or perhaps a fish to their office environment is highly rewarding. Make lunch matter: Employees are often reinforced by a well-deserved and enjoyable lunch break. Manage personal rewards: There are many unique ways for employees to rewards themselves throughout the day, such as a latte after completing a report. Don’t be in the dark: The authors suggest that regular exposure to natural light in the workplace reinforces important emotional- and health-related motivators. Encourage breaks: Employees who get up and walk around support productivity by keeping themselves feeling energized and clear-headed. Support passion in the work: This aspect of positive reinforcement cannot be understated; as a person who truly cares about and finds meaning in work, will feel intrinsically rewarded and therefore do a better job. Managers can help employees to be matched with fulfilling work; and employees can do themselves a great service by seeking-out that which is personally meaningful. This article presents numerous rewards for adults in a work setting. Before describing additional ideas, it is important to reiterate that the nature of a reward must fit with the interests and needs of the particular employee. 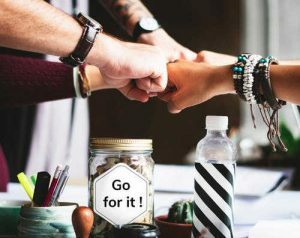 In this article, positive reinforcement and related terms are defined; statistics supporting the benefits of positive reinforcement in the workplace are presented; and numerous examples of effective workplace rewards are provided. Of course, Skinner’s operant conditioning theory is also described, as well as the most effective methods for delivering positive reinforcement techniques in the workplace. Positive reinforcement is an extremely powerful, evidence-based tool that enhances productivity and morale in the workplace. Positive reinforcement always results in an increased behavioral outcome. Positive reinforcement must be applied correctly (i.e., immediately) in order to be effective. Positive reinforcement and effective leadership techniques go hand-in-hand. 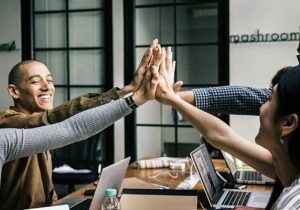 There are many ways to use positive reinforcement in the workplace, but the particular method used must be individualized to the specific interests and needs of the employee. Never assume that an employee knows he/she is appreciated – reward good behaviors explicitly and regularly. By applying the powerful strategies outlined here, employers are well on their way toward creating rewarding, inspiring and productive work climates. Wishing you many happy rewards! Burns, J.M. (2003). Transforming Leadership: A New Pursuit of Happiness. New York, NY: Atlantic Monthly Press. Cleavenger, D., & Munyon, T. (2013). It’s how you frame it: Transformational leadership and the meaning of work. Business Horizons, 56(3), 351-360. Condly, S., Clark, R., & Stolovitch, H. (2003). The effects of incentives on workplace performance: A meta‐analytic review of research studies 1. Performance Improvement Quarterly, 16(3), 46-36.
Cooper, C. (2008). Elucidating the bonds of workplace humor: A relational process model. Human Relations, 61(8), 1087-1115. Daniels, A. (1992). Bringing Out the Best in People. New York, NY: McGraw-Hill Education. Hubble, C., Mulrooney, J. & Nelesen, A. (2012). Offering Money for School Pays Off. Chief Learning Officer, June, 74-76. Jacob, J., Bond, J., Galinsky, E., & Hill, E. (2008). Six critical ingredients in creating an effective workplace. The Psychologist-Manager Journal, 11(1), 141-161. Lewis, S. (2011). Positive psychology at work: How positive leadership and appreciative inquiry create inspiring organizations. West Sussex, United Kingdom: John Wiley & Sons. Luthans, F., Luthans, K., Hodgetts, R., & Luthans, B. (2001). Positive Approach to Leadership (PAL) Implications for Today’s Organizations. Journal of Leadership Studies, 8(2), 3-20. Martin, A. J. (2005). The Role of Positive Psychology in Enhancing Satisfaction, Motivation, and Productivity in the Workplace. Journal of Organizational Behavior Management, 24(1-2), 113-133. Sarros, J., & Santora, J. (2001). The transformational‐transactional leadership model in practice. Leadership & Organization Development Journal, 22(8), 383-394. Sidman, M. (2006). The distinction between positive and negative reinforcement: Some additional considerations. The Behavior Analyst, 29(1), 135-139. Wiley, C. (1997). What motivates employees according to over 40 years of motivation surveys. International Journal of Manpower, 18(3), 263-280. Heather Lonczak holds a Ph.D. in Educational Psychology with a focus on Positive Youth Development. She has published numerous articles aimed at reducing health disparities and promoting positive psychosocial youth outcomes (e.g., academic achievement, cultural identity, mindfulness and belief in the future). Heather is also a children’s book author whose publications primarily center around the enhancement of child resilience, as well as empathy and compassion for wildlife.